listed them there, I am just copying over what I wrote on there previously. 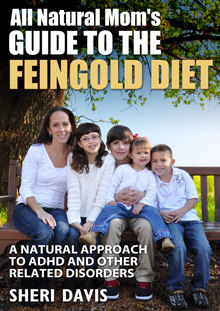 Many articles list fish oil as a good supplement for ADHD but they don’t specify what kind. Fish oils contain omega-3’s. We take fish oil in the form of cod liver oil. help prevent future allergies in the unborn child. Woo hoo! All for that. soy), so we prefer the gelcaps. some brands will be tainted with mercury from the fish they use. Nordic Naturals and get free samples mailed to you. They do contain soy though. any time and I don’t know of any supplements that it should not be taken with. have some Zinc 30 by Pure Encapsulation and Zinc Picolinate by Thorne Research. Where to Order From: See notes under Calcium. 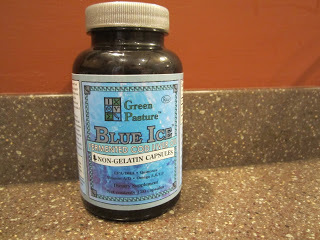 I order from www.nutritiongeeks.com. at night. If taken on a empty stomach, it can cause nausea. watch for this. If it doesn’t cause a problem, give at night. after dinner or right after school. If you can’t do exactly 2 hours, that’s OK.
I’ve seen many supplements that group cal/mag/zinc all together in one pill. supposed to have that round white half moon shape at the bottom of your nails. can mean they are deficient in zinc. especially for those with a zinc deficiency. Cons for Zinc: Zinc can cause naseau if not taken with food. Otherwise, it’s a great supplement that almost everyone needs. 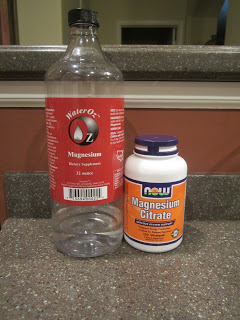 Magnesium Citrate or Magnesium Malate. Water Oz twice a day. a problem. Magnesium allows B vitamins to be absorbed better, especially B-6. So, if you are taking B-6, take it at the same time as magnesium. helping to relax nerves, relieve tension, and also helps with constipation. stunted growth, and other things. 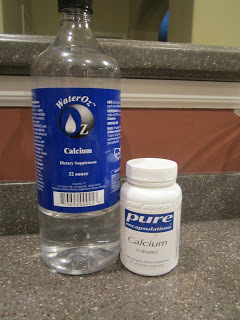 I’m not sure if calcium is good specifically for ADHD symptoms or not, but I always give it with magnesium so I’ve listed it here. absorbed by the body and specific to the LOD diet in helping absorb oxalates. $44 for a gallon, $14 for 16 oz and $22 for 32 oz. body more, but you don’t need to take it away from food. about 1,000 mg of calcium a day and 500 mg of magnesium. someone starts the GFCF diet, is not supplementing with calcium and magnesium. younger. I was surprised to read that. good one for everyone to supplement. magnesium in it. As your child soaks, they will absorb the magnesium. This is the biggest one for my daughter, and the supplement that my holistic doctor emphasizes the most for concentration in school for her. folic acid). 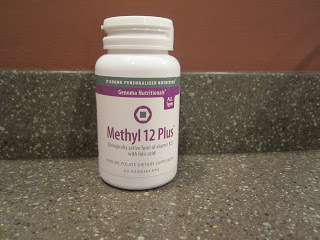 You want your B-12 in the form of methylcobalamin. offered as well. I’ve read that www.mercola.com sells one. B-12 should be taken with magnesium for maximum absorbption. many of our kids are deficient in B-12. Elementals (the capsules are very big), or 5HTP capsules from Solaray. up getting about 25 mg of 5HTP per scoop. shipping. It lasted us almost a year. I like this brand b/c unlike brands at the health food store, these contain l-tyrosine as well as 5HTP. dose is 50 mg per day. You can divide this up into two 25 mg doses a day but check with your doctor. But we started with 25 mg once a day for a week to allow the body to adjust, then increase to 25 mg in the morning and 25 mg at night. probably why depression tends to run in families. her cry and sometimes it was hard for her to regain herself. as helping support focus and concentration. are no negative side effects. Brand we use: We use B-6 Complex, Pure Encapsulation brand. to help with absorption and assimilation. my holistic doctor recommends this one. Where We Order From: I order from www.elementalsliving.com. better absorption, and with meals. Before school is best to help with concentration and ADHD symptoms. B-6 Compliments: Take with magnesium for better absorption. also been shown to be deficient in B-6. you can easily dump into their juice. kids in their juice in a see through cup. I only use a small amount and then I put it in a couple times a day instead. 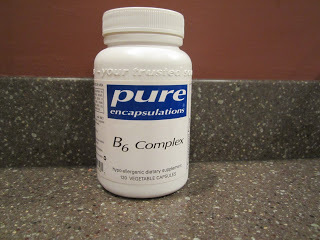 Brand we use: We use B-Complex Plus, Pure Encapsulation brand. I will rotate giving this one and the B-6 every other day or something. small amount of dairy (lactose). year old takes half of one capsule. I just open up the capsule and dump 1/2 the capsule into her juice then save the other half for the next time. We also use Pearls brand sometimes. They come in different amounts. You want one with at least 3 different strains and at least 1 to 3 billion. These are tiny and easy to swallow. They look like little pearls. These can also be taken with or without food and at any time of day because they don’t open up till after they pass the stomach apparently. 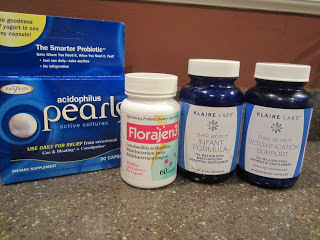 We also use Klaire’s Infant Probiotics. This is a powder that I add to my daughter’s drink or I used to add it to her baby food. Obviously, with babies, you’re not going to be able to give it to them on an empty stomach. That’s OK.
effects (like headache, upset stomach, etc.) by going too fast. to help fight off the massive yeast overgrowth they have. sure they are getting some good bacteria too. you can do to help with that. I have lots of experience with that. E-mail me if you want details of fighting a yeast infection naturally. having no good bacteria to fight them off. This one is just my personal opinion. Many of our kids that have issues have a lot of vitamin deficiencies and I’ve read a few articles on this as well. I had my kids tested by our holistic doctor to see exactly where they were at and what they were deficient in. When we added those, I saw improvement. I think adding a multi-vitamin is a good insurance policy. Just in case they are deficient in something I don’t know about, I’ve covered all the bases. Brand we use: Pure Encapsulation PediaNutrients capsules or Thorne Research’s Children’s Basic Nutrients. These are the two brands my holistic doctor recommends. Both are good but the recommended dose for the Pure Encapsulation is 4 capsules and for Thorne it’s 6, so I prefer the PediaNutrients. 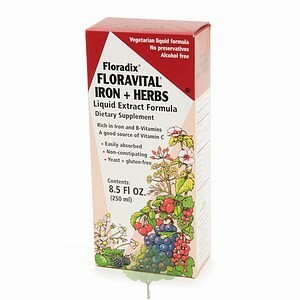 The capsules are small which is nice and you can open up the capsules and dump these into juice and they dissolve well. 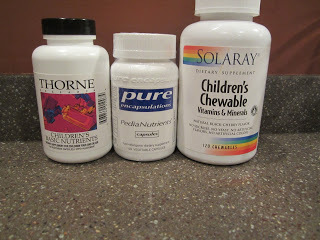 I also have some Solaray Children’s Chewables for my almost 2 year old. These are berry flavored so I can’t give these to my other kids. 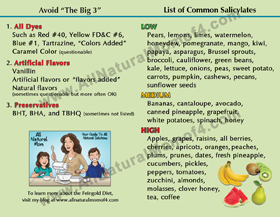 So far, I haven’t seen any issues with salycilates (fruits, etc.) with her so I let her have these. I am not a fan of the gummy vitamins. If you read the labels, they aren’t providing very much of the vitamins, they contain a lot of sugar, and they’re expensive and go fast. The only gummies I will get are the orange vitamin C gummies from Trader Joe’s because they contain 250 mg of vitamin C in 2 gummies. I only give these when they are sick or something’s going around. Otherwise, we have a lot of other vitamins we use to combat illnesses. My holistic doctor also sells their own brand of multi in a chewable tablet. It’s orange flavored though. We tried it and my kids didn’t like the taste. How To Take: Take with meals. Ideally, you want to take some in the morning and some at dinner time. It’s best to divide it up because their body can only absorb so much at a time. 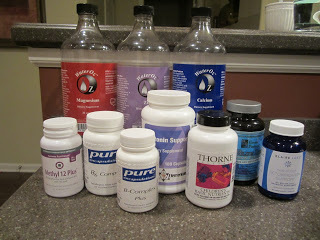 How many my kids take just depends on what other supp’s I am giving them at the time. I try to get in as many as I can up to the recommended dose. So, I might give one at each meal. I know it’s not the recommended dose, but I do what I can. Smoothies are good for hiding supplements. Where We Order From: I order from www.elementalsliving.com or else you can google and see where else these are sold online. Pros: I like multi-vitamins because I feel like it’s covering all the bases. They’re not getting high doses of any one vitamin so I feel they’re safe to take with other supplements and my holistic doctor has said that too. Cons: You have to take 4-6 capsules a day. I wish it was just 1 or 2, but these particular vitamins have a lot packed into them. tired. Many ADHD kids are hyper. I know they test for iron at physicals sometimes with the finger prick so you would know if they were deficient. very expensive and only lasts for 4 weeks after you open it. I found it online a little cheaper. drink any tea close to when you take your iron because it will inhibit absorption. fun to be sprayed with it. get all our vitamins from our food, but in reality, that’s hard to do. him as an out of network doctor and paid for 50%. His name is Dr. John Hicks out of San Fransisco). His web site is www.johnhicksmd.com. Do supplements cost a lot? Yes. get a whole lot of vitamins and probiotics. Coconut water kefir is one food source for probiotics. Dr. Hicks is big on this. He has info on his web site about it. Hope this helps and isn’t too overwhelming! Just take baby steps to a healthier life. You don’t need to do everything all at once. You’ll get there! 🙂 Keep reading and educating yourself. www.mercola.com is one of my favorite web sites and he tweets a lot of great stuff too. THANK YOU SO MUCH FOR THIS POST!!! I have been looking into all these things and it's awesome to hear someone's opinions on brands and I especially like that you gave pros and cons. I have a question…. have you ever heard of a child being sensitive to fish oil? It makes my son's tics more pronounced. Any ideas on Omega 3 alternative supplements? Thanks again!! Hi Roseanne. Yes, kids can react to just about anything. What brand were you using? My son has tics from salycilates (certain fruits). Most fish oils out there contain soy and some have traces of mercury from the fish they are using. Can your son swallow pills? I really like the brand we use. If you're using a liquid one, it likely has lots of salycilates to make the oil more palatable. I know Barlean's has a fruit punch one that we got long ago. I should have mentioned that flax seeds/powder and flax seed oil are also great sources of omega 3's. I add flax powder/ground flax seed to my kids' smoothies and they don't even notice. Or, sometimes I add flax oil to it. I add flax oil to salads too. The only problem with the flax oil is that it goes bad after 4 weeks of opening it, and the stuff is expensive. I never go through it within 4 weeks, but it's good stuff. Thanks for your reply…unfortunately I mostly use FCLO from Green Pastures too. Sometimes we use Carlson's lemon flavored liquid. I'll have to check for salycilates. Thanks for the idea. I too use flax seed/oil as well, I just don't know if it's enough. God Bless You! Magnesium and B-6 are one of the most common supplements for ADHD kids but Iron is also important. Iron deficiency is most likely to be discovered in young children. It is one of the contributing causes of attention and concentration disorders. Having enough iron enhances immune system and prevents learning difficulties among children. You can increase the level of iron by serving food that are rich in vitamin C like orange, pineapple and grapefruit. They are one in the same but are called by both names. My holistic dr. calls the supplement they sell, Serotonin Support, but it contains 5HTP, which is short for L-Tyrosine and L-5-hydroxytryptophan. That's a mouthful so they call is 5HTP for short. Not all 5HTP supp's contain L-Tyrosine as well but its a good compliment for some reason my Dr. said. So, if you're looking in the stores for the supplement, it will be called 5HTP. The capsules I got from my Dr. and the ones you'll prob find in stores, contain 500 mg of L-Tyrosine and 50 mg of 5HTP. The higher amounts I have listed are what's on my bottle of the powder but we take a very small scoop so that she's not taking that much, she's taking about half of one of the capsules. The capsules are big, so that's why they crush it down and remove fillers so that they can take a small amount in their juice. Probably ignore the numbers I listed. She in actuality is taking 25 mg of 5HTP. The tyrosine is going to be in comparison to the 5HTP so I wouldn't worry about that. It's not a supp you take in addition to the 5HTP. It's just included with it. Also, don't take 5HTP with any ADHD or anti-depressant drugs b/c they are both serotonin boosters. 5HTP is just a natural form of it. I would also recommend having a blood test done to see what levels your kids are at before starting it. And, start at a lower dose (maybe 15mg or so) for the first few days and then you can increase it. My daughter was up to 50mg a day total – 25mg in the morning and 25 mg at dinner. Thanks for pointing that out. I'll have to go back and clarify that in the post. You can also call Dr. Hicks' office and ask them any questions. They're really good about answering ?'s. 262-740-3000. You want the Elementals Store. We have tried my son on a magnesium supplement called Natural Calm. We went with the flavorless option, and he refuses it in anything. I eventually got him to drink some in water alone and he vomited (not sure if it was involuntary or not). Anyway, could you tell me how the Water Oz brand tastes and if you do the quad strenth or regular. I am open to trying it, just don't want to blow another $40+ on a single supplement. It tastes like water. I add it to juice and they've never noticed it. My one daughter drinks it straight in a little Mickey Mouse shot glass. 🙂 It can have a very slight taste to it (kind of like a metal aftertaste). I believe this is supposed to mean that you don't need the supplement. It's not a strong taste and you can only tell if you take it straight. I do taste it a little bit and I know I need magnesium. But, if it's in any drink, they won't taste it. I've even added it to water. We do the calcium along with the magnesium, and then do the water oz zinc at another time of the day. I think we do the regular. I didn't know they had a quad strength. You can also add Epsom Salt to your son's bath to get some magnesium into him. We order from San Fransisco Bath Salt Co. online. Watch for free shipping deals. Have you ever heard of youngevity? my dad wants us to use it with our 7 year old who is very hyper. He refused because of the cherry taste. 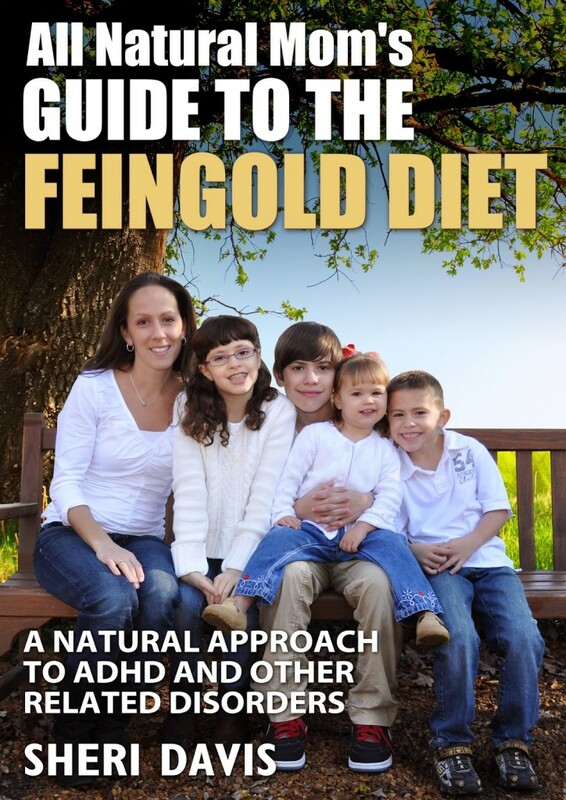 We are just starting Feingold and your site is very helpful. We are having a bit of trouble though with finding things at grocery stores around here. We don't have a whole foods, just walmart (ugh) and locally owned grocery store. Thank you so much for all of this information! I've been researching ways to help my 6 year old with ADHD issues without medicating him. Your information is the most helpful I've come across. Would you suggest starting the supplements one at a time, or would they be ok to start all at once? Glad it is helpful! 🙂 Definitely one at a time. I should have mentioned that. You can space them about one every 4 days. I like to keep a journal/diet diary to note any changes in behavior noted. Reason to start one at a time is b/c you want to watch for any reaction, whether good or bad. If you see one that is really helpful, then you know that's one you want to keep for sure. Supplements can start to get expensive so if I see one that I don't see any difference on, I may not give it every day if it's not an essential. Kids can react to anything, maybe even a filler in the vitamin so that's why we start one at a time. I think cal/mag are the only ones that I wouldn't bother waiting one at a time b/c they work so well together and are rarely an issue. I would start with those two first and then the multivitamin, then probiotics, then whatever you want. Serotonin, you might want to have levels tested first and don't take if they are taking any ADHD or depression meds already. ArtChick97- No, I have never heard of Youngevity. Bummer about the grocery stores. Do you have any health food stores? You can find some things online but the problem is, you usually have to buy in larger quantities, and you'll want to make sure your child likes it first. I order a few things on Amazon where there's free shipping. You'll end up having to make more things from scratch or use more recipes in cooking instead of throwing something prepackaged in the oven. Doable, just not as easy. Hi Sheri! I LOVE this article! My husband found your article after we all suffered from a nasty stomach bug & he was trying to find supplements/vitamins/minerals to take for a faster recovery. I bookmarked your article since then & am interested in taking some of these supplements you recommend, but for different reason (mostly general health for both young children & adults). I have lots of trouble with sleep (starting with my first pregnancy over 4 years ago) & was looking into taking the 5-htp particularly. Almost all 5-htp supplements out there contain only the 5-htp (l-hydroxytryptophan) & not both the 5-htp & l-tryosine. Do they work better together or is it something that will work quite well alone (5-htp only)? Is this something that helps your body get back to working properly or does it take over the body's own system if that makes sense (take for life or just temporarily until your body gets back to normal)? Do you think that seratonin support powder is better & more easily absorbed into the body almost like food versus capsules? What dosage(s) do you recommend for aduts? I've been taking lunesta 2mg for sleep & an anti-anxiety med called clonezepam 0.5mg for a couple of months now & would like to replace them with natural sources. I look forward to seeing your thoughts! Thank you for writing this amazing article! Thanks! Hope you are all feeling better! 5HTP prob works fine alone but combined w/ the L-tyrosine I'm sure is better since my holistic dr recommends it. It brings your serotonin levels back up to normal range over a period of time, so no, I don't believe it is something you'd have to take for the rest of your life. My daughter was retested for her serotonin levels about 2 or 3 years after the first time, and she was back at 250, which is where she should be. 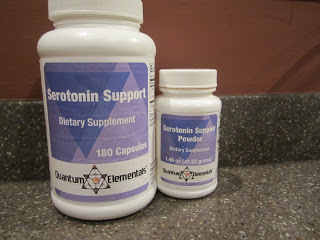 I discontinued the serotonin for several months to save money on supp's but we are adding it back in now. I would just watch for signs that you need it or get tested every year or so. My holistic dr said that it can cause adverse reactions if you take it and you don't need it too. But, I can tell if my dd needs it or not. It helps her w/concentration and it affects her mood and it's very obvious for us. I guess you would be able to tell by whether you are able to sleep or not. Don't take it along with sleep aides or depression meds though. Take one or the other. I don't think the powder or capsule form matters. It's just a matter of how to get it into the kids and the powder is easier, but they are basically the same form really. One is just crushed down and without fillers. I think once your body is healthy, you will maintain a healthy level of serotonin, just in my opinion. That means eating healthy, exercising, etc. Exercise effects serotonin/dopamin levels too. Wish we lived in a warmer climate! My kids are outside every day in the summer. I think 50 mg of serotonin is an adult dose. That's what's in one capsule. For anxiety, the B vitamins are good. Watch the DVD documentary Food Matters from your library or NetFlix. They talk about this a little bit. 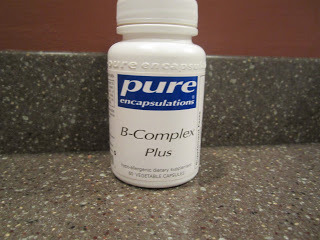 B-Complex is good b/c it contains a variety of the B-vitamins. B-6 and B-12 are also good. Calcium, magnesium, and vit D are good for mood as well. Vit D deficiency can cause depression, as we see in "winter blues" b/c we are not out in the sun and getting vit D. Check out http://www.mercola.com for more info on that. He's big on vit D. Elminitating corn syrup also helps! Corn syrup makes me and my kids angry and depressed. Same for many people. For the most part though, I just need to stay away from pop with corn syrup so if I do drink pop, it's 365 Whole Foods brand usually. Also, forgot to mention melatonin as a natural sleep aide. If you get a slow release one, that will help you stay asleep as well as fall asleep. Thank you for all the great tips, Sheri! I'm still debating on what I should do. I gave Dr. Hicks's office a call & I may end up taking a blood test to see where my seratonin levels are so I can take something I know will be tailored to me. I'm so excited that they can do online appts.! I'm pretty healthy in general. It's just the lack of sleep that is really starting to show up in everything negatively! I exercise around 3x/week. I don't drink any caffeine & really don't have much chocolate these days. I'm a sugar addict, but I have cut WAY back by removing it all from our house! It has been quite a few months since I did that. I do take a B-Complex vitamin everyday as well as Green Pasture FCLO/Butter Oil & a mulitvitamin. I didn't know that about corn syrup! I pretty much chunked anything with false sugars like that when I did my extreme clean out of all of our food! 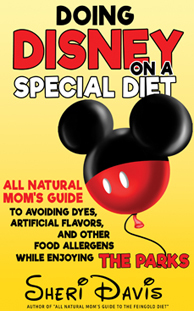 I have not looked into artificial dyes/flavors though. I'll definitely check into that! As for the melatonin, I've tried it with no luck. I feel like I've tried every trick in the book, but the seratonin powder was a new one for me. I'll try to update what works for me (crossing my fingers that something/method/miracle actually will work) if that day does come! For now, I'm scheduled to see an acupuncturist soon! Thanks for all of your help! You're the best! Hi there… came across your site today… doing research for our 8 yr old daughter who exhibits signs of anxiety, hyper behavior, poor sleep, etc. I have done different things over the years for her. Recently consistant chiropractic care has really helped her sleep issues, but not her behavior. We do fish oil, multivits, & calcium & probiotics…. looking forward to adding some add'l dupps & should look into feingold diet. Thanks for all your research & info! Great article. I just wanted to mention that you can be deficient in your iron STORES and the finger prick at the doctor show your iron as being fine- bc they are only testing your hemoglobin- the iron in you blood. At 8 months old I suspected my oldest was anemic bc his eye whites were gray. The doctor did the finger prick at 8, 9, 10, and 12 months and he was always a 12 or 13- "great!" the doctor would say. I new something wasn't right. When we finally found a DAN doctor he tested everything and said my son's iron stores were depleted- they wanted to give him iron through his veins, but he was too small so we had to kill off the yeast and then supplement through pills. After my 2nd child I had my iron stores checked (bc the finger prick said I was good). My stores came back very low- causing exhaustion, major hair thinning, etc. I wish everyone could know this and doctors would quit with the finger prick. Thanks again for all the GREAT info. you listed! Great information, thanks so much for having it all in one place for us newbies! How do you know what t a child levels should be for all thee supplements, a blood test? Have you found a all in one like Smarty pants or do you do a multi vitamin then add on more supplements? I was excited to find this detailed post! It included information on all the very supplements I was considering and I was happy to get another bit of advice as I prepare to stock my ADHD-supplement shelf. And I was only going to comment that a chart would be helpful for me to understand when you give what and how many each day. But then, I got to what you said about iron…and my excitement at finding a well-researched resource faded. While it is true that "if they were deficient in it, it would help" what you said about figuring out if they're deficient is not at all true. A child displaying "hyper" ADHD symptoms is not at all the opposite of being tired. Nor is it true that, "they test for iron at physicals sometimes with the finger prick so you would know if they were deficient." What is true is that so-called "hyperactivity" in ADHD is actually mostly about lack of automatic impulse control and that hyperactive behavior often even increases with tiredness. Hyperactive ≠ not-tired. When you go to a check-up, and get a finger poke, what they test is your hemoglobin level, not your iron level. While it's true that a low hemoglobin level often indicates a low iron level, having a low iron level does not always cause a low hemoglobin level. The only way you can know your actual iron level is to get a blood test for your "total ferritin" level. And, if you have ADHD, getting this test may be a good idea. A 2004 study, published in the Archives of Pediatrics and Adolescent Medicine, found that 84 percent of children with ADHD had significantly lower levels of iron, compared with only 18 percent of kids without ADHD. Anyway, I hope you find this information useful and will soon be posting some fab info on which iron supplements you recommend and why! 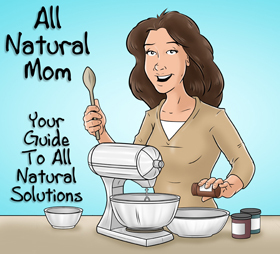 Have you noticed any improvement since you have started to give natural supplements? 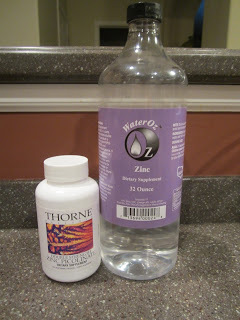 Before I found this blog, I was actually Using cal mag zinc fish oil and b Vit complete. As I spot blogs and articles, no one ever mention whether a child is taking meds or not while trying alternatives. So I cannot tell what works or not. Just wondering if anyone just used the mineral trace drops? wow I just read through all the vitamins that you give your children. wow! I wish I could afford it! if I was to give one or two what would you recommend? Hi! I am wondering if you still use Water Oz? I couldn’t find it on nutritiongeeks.com and I would love to find alternates to all the pills/capsules. Thanks! So my child has a really hard time with focusing, he may even be autistic bit he hasn’t been diagnosed. The b12 looks intriguing but what is dmg that you say works well with it? Also you say it can cause yeast problem so what do you suggest to counteract that? My child is 5 years old, is that too young? Where can I find the serotonin powder? Dr. hicks website doesn’t work and I can’t find that product anywhere on the web. I think my son truly needs this product and wondering how else I could supplement the L tyrosine as he doesn’t like pills/capsules. He does take a chewable tryptophan but would be nice if both combined like in that powder. This article was really intresting to read. Good job. Thanks.